Seven days a week, UUs live their faith by doing. Whether in community with others or as an individual, we know that active, tangible expressions of love, justice, and peace are what make a difference. Embracing peace, love, and understanding that goes beyond individual belief systems, we are creators of positive change in people and in the world. Worship & inspiration — Sunday mornings and beyond. Learning & growth — spiritual and educational programs for all ages. Action & service — volunteering and work for justice. 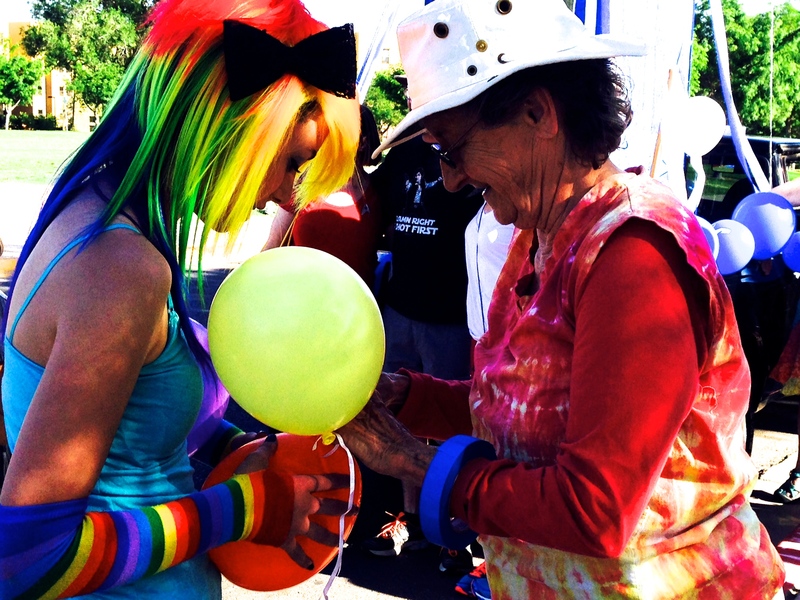 Connection & care — caring outreach, mutual support, and small groups for adults, youth, families, and children. Celebrations & rites of passage — weddings, memorials/funerals, baby blessings, coming-of-age, and child dedications. Unitarian Universalism is committed to be open to people of all sexual orientations and gender identities. First Unitarian is one of hundreds of UU congregations that have voluntarily certified as LGBTQ Welcoming. Many visitors ask about the significance of the flaming chalice. 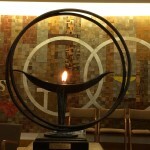 At the opening of Unitarian Universalist worship services, many congregations light a flame inside a chalice. 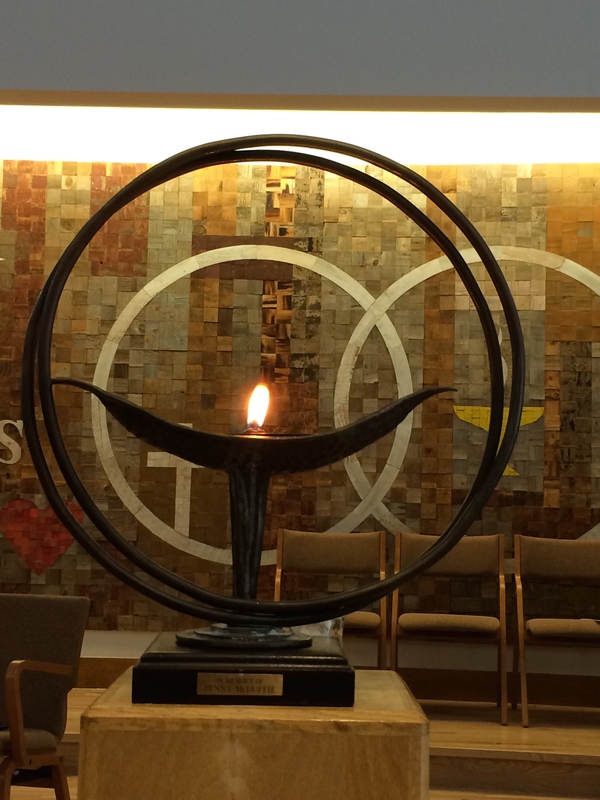 This flaming chalice has become a well-known symbol of our denomination. It unites our members in worship and symbolizes the spirit of our work. During World War II, the Boston-based Unitarian Service Committee (USC) was founded to help Unitarians, Jews, and other religious liberal refugees escape Nazi persecution and needed a symbol to identify itself as it worked its way through the Allied underground in Nazi Germany. The flaming chalice became the Allied underground symbol by which those needing rescue identified themselves to the Unitarian Service Committee in occupied Europe for assistance in escaping Nazi persecution.